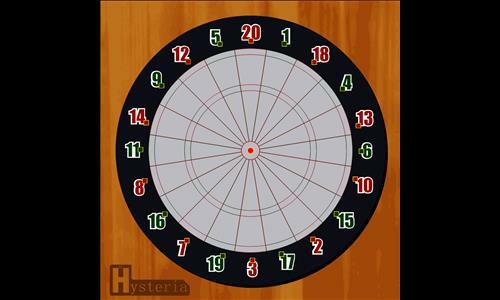 This map takes advantage of the numerical symmetry/asymmetry of a dartboard. Territories can only be attacked from the sides and from the inside and outside (no cattycorner). As the centerpiece, the bullseye represents the risk reward in this map, offering the ability to attack all other bonuses as well as giving a clear view of where enemies are gathered, but imposing a penalty of 50 income. Players must carefully weigh their options when considering when it is the right time to try to take the center. Review by Andalorium on 11/24/2016. Easy enough map to follow, interesting design, decent artistry, straight forward map.